Rise Up Athletics | Join our Recreational Gymnastics Program Today! A fun and pressure-free environment for children of all ages. appropriate apparatus to properly instruct fundamental skills. Our classes have weekly rotations to ensure ample time to learn and develop all the various gymnastics skills on each specific event. For girls classes they work on beam, vault training, uneven bars, and floor in 3 separate level classes. For our boys classes they work on rings, parallel bars, pommel training, Hi-bar training, and floor. Both classes included a conditioning station to ensure athletes are gaining strength that is needed in order to properly and safely execute gymnastics skills. Rise Up Athletics has been pleased to offer quality gymnastics instruction for over 37 years! Through the years, we pride ourselves in offering nothing but the best instructional classes for your children. 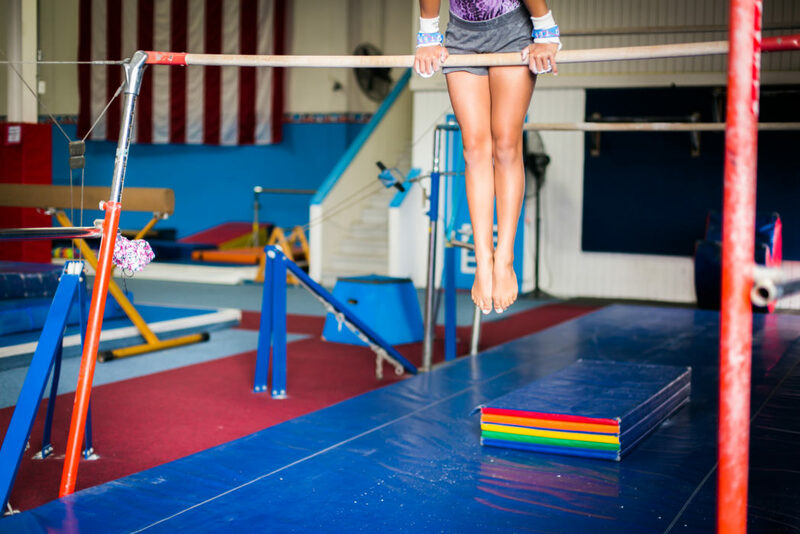 Our recreational gymnastics and cheerleading facility has over 23,000 square feet of full-line gymnastics equipment and various levels of spring floors. Here, children learn all levels of gymnastics and cheer. Known for our quality and effective instructional classes, we strive to provide a positive and fun experience by teaching the importance of staying fit and having fun with gymnastics and cheer. We offer a variety of classes for children 12 months through the teen years. Programs include TOTnastics, GYMnastics, and TUMBLE-stars. These types of classes are great for your child’s’ early motor development and coordination as well as developing their core strength and overall fitness.